Finally off of work and ready for that long-awaited holiday with the family in Greece? Before heading to the islands, why not take advantage of all the capital has to offer? Of course, a day at the beach or the park is perfect – and while many museums offer special visits or exhibits, there are plenty of activities you can all do together. Here are the 10 things to see and do with children in Athens. Established in 1987, the Hellenic Children’s Museum is the only multi-themed, interactive museum designed for children of all ages up to 12. It was created to invite children to discover, learn and shape their sense of self and the world around them whilst respecting their individuality, with a focus on cooperation. The museum includes exhibits designed to meet the needs and capabilities of children, aimed at developing their observation, collaboration and social skills. Allou Fun Park is one of the top entertainment parks in Greece, with adrenaline-pumping rides, crazy spinning swings and water rafting fun. Kidom is the kingdom for kids where younger children can enjoy carrousel rides, the Toto Express or the Trambolini. The puppetry theater Ergastirio Mairivi (Workshop Mairivi), located in Psirri, was launched in 1999 for the research, deployment and expansion of the art of puppet theater in Greece. It is the place to be to watch dynamic puppet plays and work, with puppet workshops and productions presented to the public. Although in Greek, you can be sure that your kids are still going to enjoy the show as it often involves two- or three-dimensional animation techniques and more. The Emotions Museum of childhood is a place where interactive exhibitions, games and fairytales are used to encourage children to discover their emotional world and learn more about themselves and others. It aims to teach adults (parents or teachers) to understand issues related to children’s emotional development and socialization. The Athens Planetarium is an impressive facility that is often overlooked when it comes to sightseeing. This imposing structure boasts a central dome of 25 metres in diameter and has a surface area of 935 square metres. 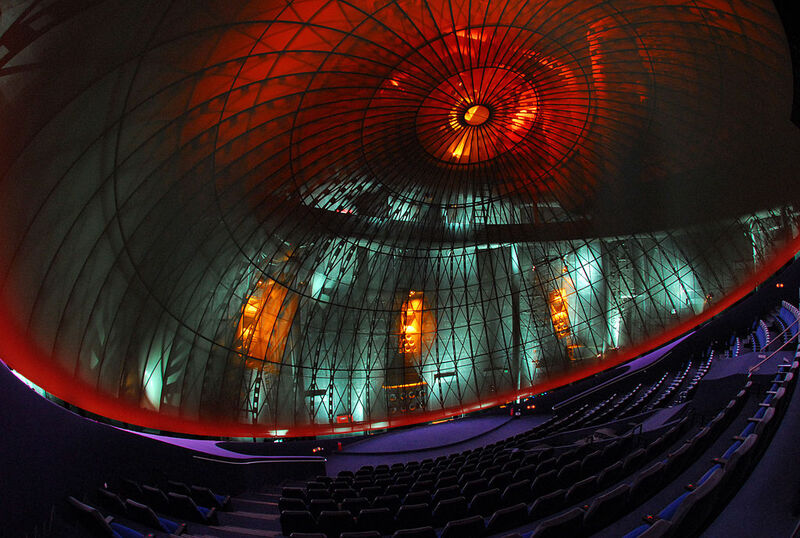 Offering a stunning visual trip to the stars and into the Universe, the planetarium is an excellent day trip option for children once they’re tired of the sea or ancient ruins. The Playmobil Fun Park is a paradise for your children, especially if they enjoy playing with them. Using games, constructions and Playmobil figures, children can create new designs, play in cooperation with others and expand their creative powers. There are also activities and games for children from 18 month to 3 years so that everyone (including mommy and daddy, who can sit at the playground café) can have a great time. The Center of the Earth Park is a green space spanning over 25,000 square meters where children and adults can learn to respect and protect the environment by learning sustainable development techniques. Located less than 10 kilometers away from Athens, the park features a vegetable garden, an olive grove as well as exhibits of historical farming equipment. It also includes facilities where seminars and activities on sustainability are organized, where children can participate in cooking workshops or enjoy themselves with environmental games and guided tours. Based in an old factory in Athens, Cado Paradiso is made of 90% upcycled material. The playground features trampolines made of tires, plastic bottle puzzles, and PVC tube slides. 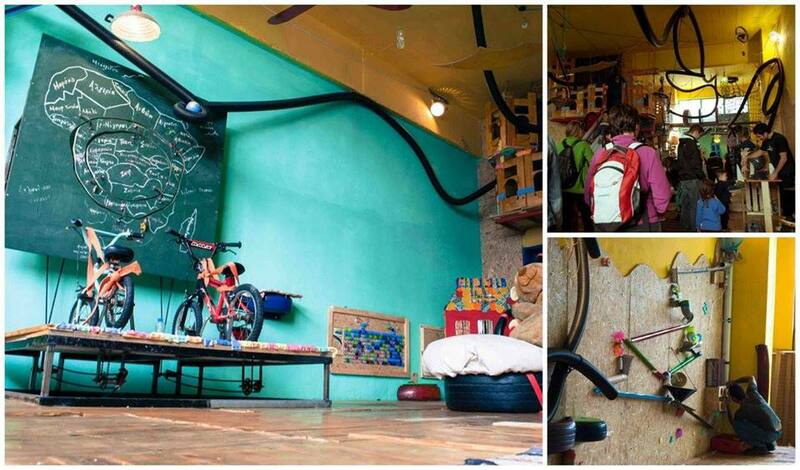 Children can have fun with DIY toys and learn geography, physics, or biology as well as take part in politics though a series of workshops aiming to foster learning in an unconventional environment. At Cado Paradiso, even adults can have fun as age doesn’t matter, all you need is a little bit of imagination. Perivoli Sti Vari is a permaculture farm where children (and adults too) can learn about natural waste management, permaculture, recycling and even use a solar toilet. Combining fun with learning, the Perivoli hosts regular workshops throughout the year as well as cooking lessons, and is an excellent attraction to learn but also relax. The place also has a restaurant where you can enjoy Greek cuisine. This may be a no-brainer, which is why it holds the last position in this list. Athens and its plethora of sightseeing also work for children, and The Acropolis and its accompanying museum are an absolute must. 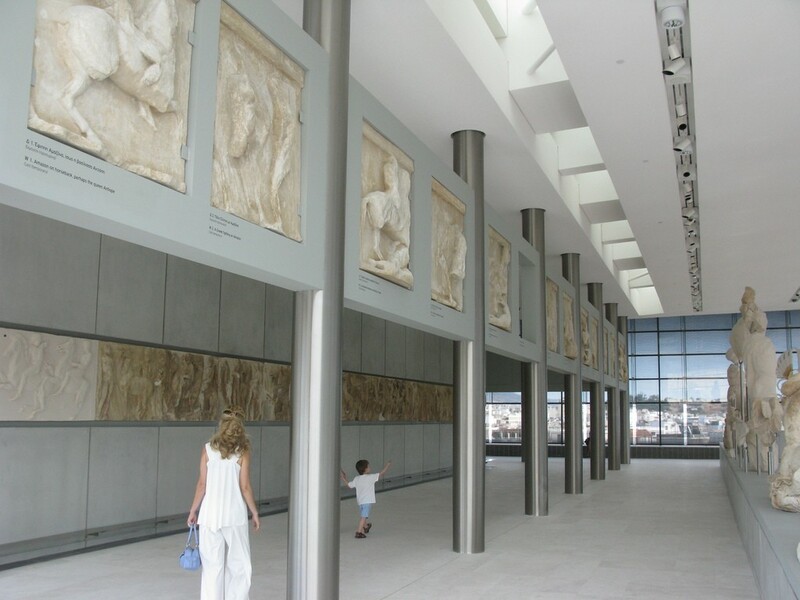 Children can have fun visiting the ancient ruins of the Parthenon, or in the Archaic gallery of the museum. But if that is hardly inspiring, know that the museum also offers family backpacks filled with activities or family trails to make the visit more interactive and dynamic.